(LA5)SAUGUS, Cal., Apr. 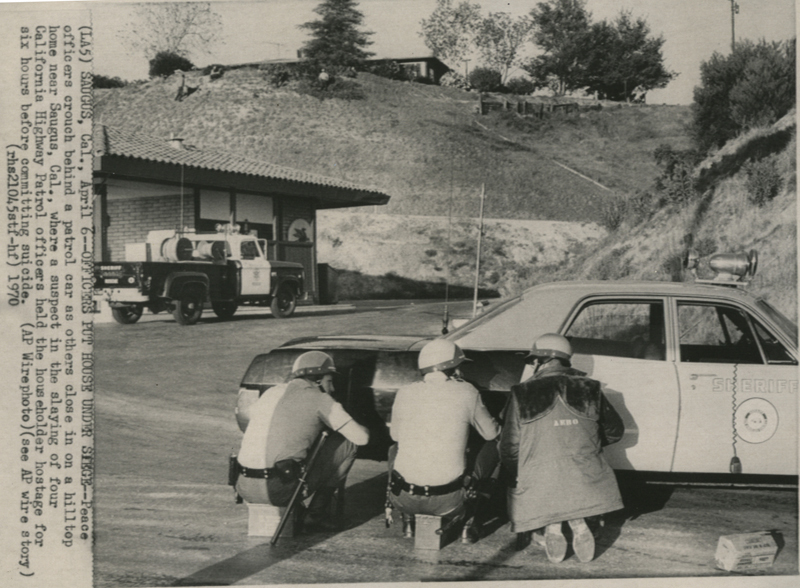 6--OFFICERS PUT HOUSE UNDER SIEGE--Peace officers crouch behind a patrol car as others close in on a hilltop home near Saugus, Cal., where a suspect in the slaying of four California Highway Patrol officers held the householder hostage for six hours before committing suicide. (AP Wirephoto).